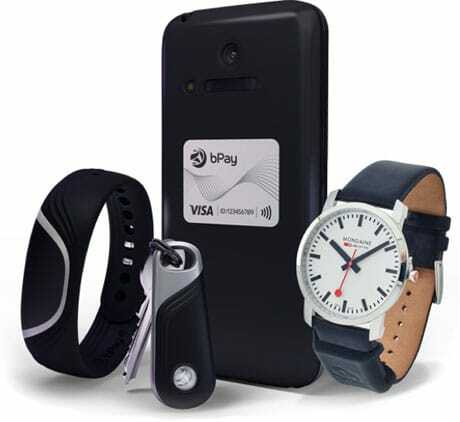 Barclaycard’s bPay contactless payment technology is to be embedded into a range of high street jewellery and watch brands across the UK through new partnerships with fashion jewellery retailer DCK Group and payment technology provider for the watches and jewellery industry Tappy Technologies. The new agreements are designed to extend the existing range of bPay devices, which currently comprises a wristband, fob, sticker and the Loop contactless chip, alongside fashion jewellery from UK high street retailer TopShop and Case Station mobile phone cases. “DCK is behind the concession jewellery offered by some of the UK’s leading high street retailers and the partnership will see bPay contactless payment technology embedded into some of the most exciting and on-trend jewellery styles on the high street,” Barclaycard says. “Full details on the products to have contactless included, the retail stores and price ranges will be confirmed in due course,” Barclaycard adds. The bPay range of devices was launched in 2015 and, since then, some £6.6m has been spent from 1.1m transactions using bPay wearable devices, according to Barclaycard. “Our partnership with Barclaycard has allowed us to revolutionise the wearable technology market, combining the knowledge and security of a major bank with the design and expertise of the best jewellery designers in the business, to launch an affordable, functional and desirable range of fashion-led jewellery,” says DCK chairman Alan Witzenfeld. “bPay was designed to meet customer demand for a new, easy and convenient way of paying for everyday goods and services,” says Tami Hargreaves, commercial director of digital consumer payments at Barclaycard. The bPay Band was launched in June 2014 at the Pride in London and British Summer Time events in Hyde Park before being discontinued in May 2015. The company introduced its second generation bPay devices in June of the same year. Topshop x bPay was launched by the UK fashion retailer in November 2015, featuring a range of accessories incorporating Barclaycard’s bPay contactless payment technology and enabling shoppers to make tap and go payments at contactless terminals. A second collection arrived in June 2016. Barclaycard unveiled Loop in July last year — the fourth product in its bPay contactless payment device range — taking the form of a contactless chip which lets consumers add NFC purchase capability to wearable devices they already own. The company announced its partnership with Case Station in September 2016, and a separate partnership with British accessory brand Tovi Sorga was revealed in November. Contact less payment seems worth to try. However still it’s not getting such popularity so that people can be interest for using this. I hope in future this technology will bring types of evolution on social marketing. For now most of people are using net banking and debit or credit for shopping from both local with online stores like “fashiononelink”.